Just try looking for a plaid Strat, and see what comes up. Not a helluva lot, that's what. 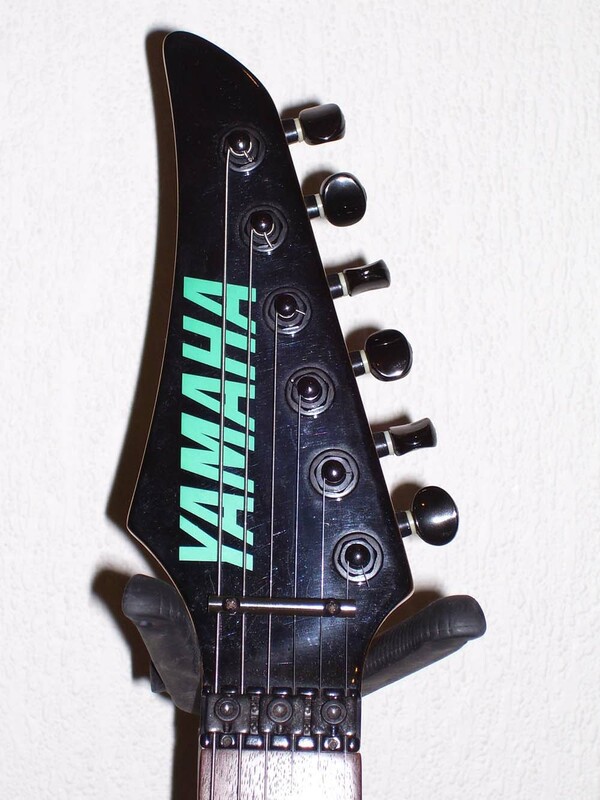 The Yamaha RGZ820R (discontinued)- Blues Saraceno guitars from the 90's are about the only guitar plaidness you're gonna find. Obviously, and in spite of just about every other wild finish out there-- including friggin' paisley which seems to persist, the plaid guitar thing never really caught on except to Mr. Saraceno and those very most loyal amongst his fans. Otherwise, forget about it. But before we dismiss plaid altogether, let's examine and try to understand why plaid guitars couldn't occupy a larger position in the mind of the guitar marketplace. Of course I have a theory. For why else would I go on with this? So, today I'm gonna reach into my Malcom Gladwell bag, and say it's all circumstantial. My theory is that because the name "Saraceno" is such a glaringly non-Celtic name, people had difficulties processing the concept, thus diverting plaid guitars to the vast junk files of their subconsciousness. I know that's what happened inside my skull. And I could only conclude that maybe Blues Saraceno must be partly Scottish-- on his mother's side, before dismissing the idea altogether and moving on to other more pertinent issues of my day to day existence. But ya gotta wonder... For instance, had the great Scottish guitarist Zal Cleminson chosen a plaid guitar finish over clown makeup, KISS may never have happened, and I coulda lived with that just fine!!! Anyone who resents that remark, having been inspired to pick up the guitar by KISS, has probably never worn KISS makeup, yet wears an unbuttoned plaid shirt most of the time. With an AC/DC t-shirt underneath. There's certainly nothing uncommon, rare, obscure or esoteric about plaid. Plaid is everywhere around us, except for cars, houses and ice cream. Although I'm certain that someday, someone's gonna come up with a way to produce plaid patterned multi-flavored ice cream, which will be very expensive-- at first, until the Chinese Wal-Mart mainframe gets involved. Everyone has at least two plaid shirts. Has anyone EVER seen Derek Trucks wear anything BUT a plaid shirt?? He could have plaid guitars too! In fact, if his last name were "McTrucks"- actually "MacTrucks" would be pretty funny- he could play plaid SG's that match his clothing, the popularity of which would spread far & wide, over hill and dale, from sea to shining sea. 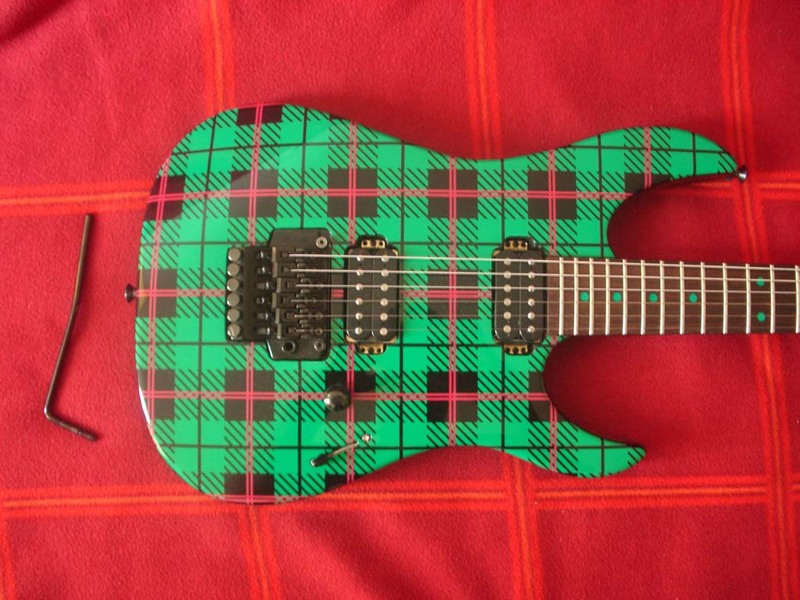 Then the plaid guitar would command respect and hold its rightful place in the culture. But alas, a plaid SG does not a plaid Strat be. 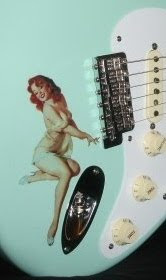 Is there no proud Scottish axeman of Fender persuasion who will not boldly carry forth the tartan to the finish of his Stratocaster? Let he or they step forward and be counted that yet a Strat may be the one to lead all guitars to the dawning of a great plaid era. Where's yer pride laddies!!! OR... we could just skip it.